My photo for this week’s challenge didn’t get done in time. 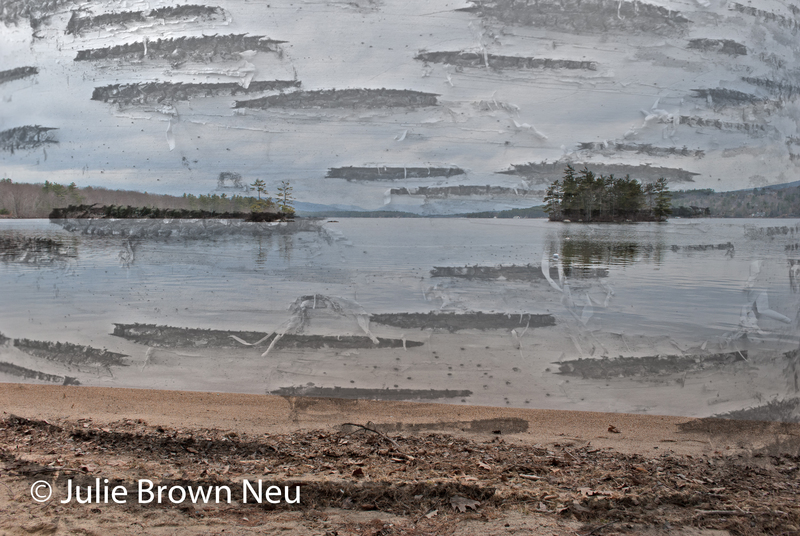 I took my photos while on the retreat at Lake Winnipesaukee and even had several hours to myself once I got home before my DH and daughter came home. But, I was so exhausted from the weekend and the drive that I just could not muster the energy to turn on my computer and get into Photoshop so I laid on the couch and watched a dumb movie instead and missed my deadline. So, I did my homework today and you all will be the only ones to see it. This is a montage of the lake with the bark of a nearby birch tree. Next PostDesign Wall Tuesday – Arabesque #4 is underway!